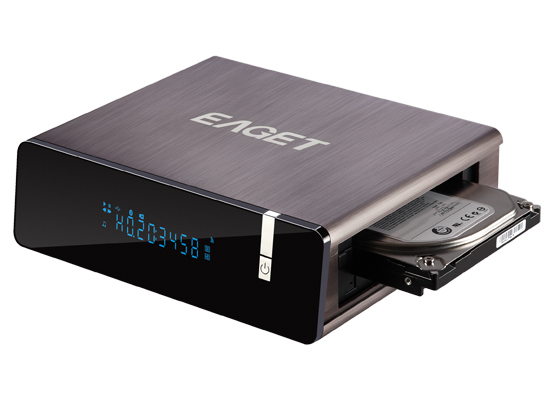 EAGET has released a new media player this December - H5! 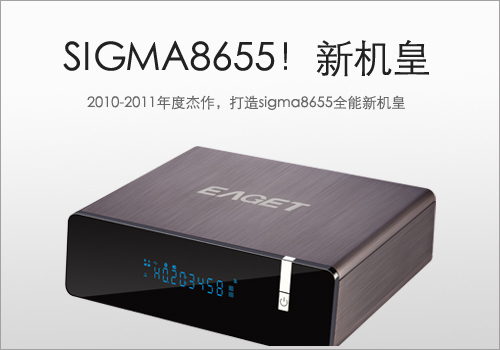 This model is EAGET's exclusive industrial design, with powerful Sigma Designs 8655 processor! · Built-in eSATA and USB 3.0 interfaces, all aluminum housing and large VFD screen. 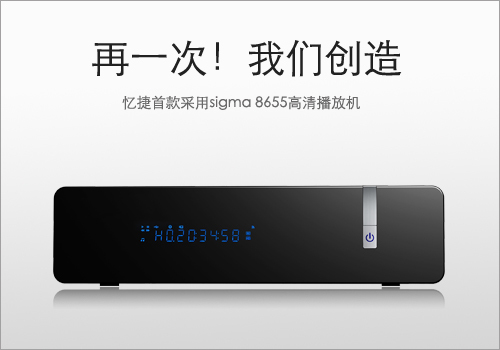 · Perfect match of home theater, nice choice for personal multimedia enjoyment and home entertainment! * Need an external USB wifi dongle which is not included in the accessories, optional accessory. 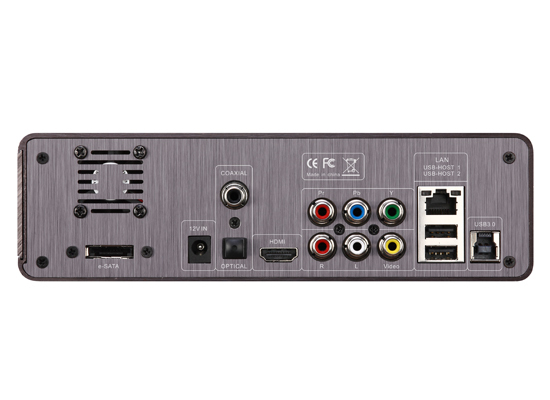 ** Need an external USB DVB-T tuner which is not included in the accessories, optional accessory. 1 Remote Control; 2 AA Batteries; 1 User Manual.